Watch full Naruto Shippuden Season 20 Episode 39 English Dubbed full HD online. Naruto Shippuden Episode 452 English Dubbed online for free in HD. Obito watches Konoha and teleports away. Itachi feels an ominous wind as Obito summons the Nine-Tails. Obito has the Nine-Tails attack the village, and Itachi protects Sasuke during the attack. Itachi comes across Izumi during the attack and helps her get to a shelter. Konoha manages to subdue the Nine-Tails. 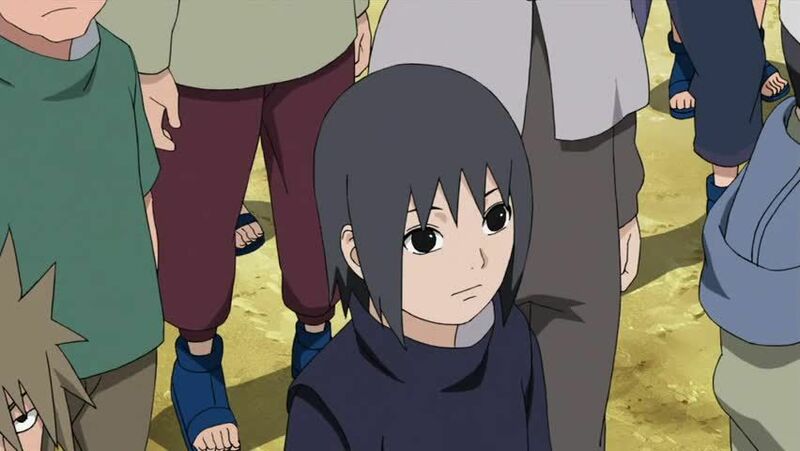 Itachi attends the funeral of those who died during the attack. Izumi thanks Itachi for helping her. DanzÅ oversees the rebuilding of the village, and moves clan settlements around, including pushing the Uchiha to the edge of Konoha. The Uchiha are displeased with the decision, but can’t be the only voice of dissension, as other clans were also relocated. Itachi asks Fugaku to see the new Uchiha training grounds, and asks him to teach him jutsu. Itachi effortlessly learns Fire Style: Fireball Justu. Itachi notices Fugaku’s discomfort with the neighbouring buildings around the new Uchiha clan settlements. Itachi and Izumi begin at the Academy. Itachi excels at it, and asks Fugaku to teach him more jutsu, as he deems the ones taught in the Academy too easy. Itachi’s prowess has affords him admiration by girls, and jealousy from some boys. The boys run into an older student, who takes issue with their attitude. The boys cower behind Itachi, who beats the older student when he attacks. The boys’ jealousy turns into admiration, much to Itachi’s discomfort. Itachi wonders about what it means to be a shinobi, and about the village. He learns from Shisui during Academy hours, and sends in a shadow clone to attend the Academy. The shadow clone is defeated by older students when they target him and other students from his class. Itachi’s teachers are impressed by him knowing it, and offer him an early graduation. Itachi graduates, and can begin acting as part of a team and going on missions.